It’s 2 a.m. and officers are on scene at a domestic violence call. The father will be arrested while the young children and mother silently cry trying to make sense of what happened. It’s a beautiful evening downtown at a public event when a call comes out about a vehicle fully engulfed in flames. 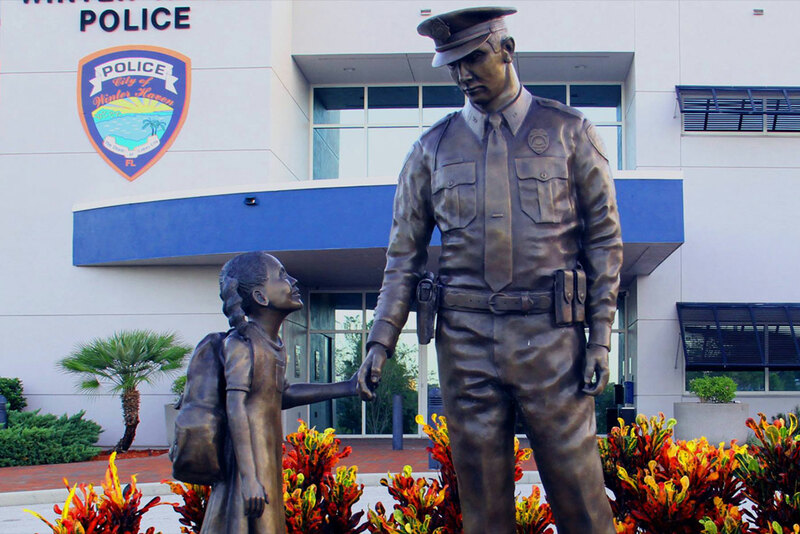 Officers arrive to assist with traffic control and find the 19 year-old driver of the car with his young little sister on the side of the road. Obviously they are both shaken up, but thankfully uninjured. Officers are following a car through Winter Haven attempting to pull the driver over as he is driving erratically and placing many citizens in danger. The driver pulls to the side of the road and officers find an incoherent driver with two children, ages eight and ten in the back seat. Upon making threatening statements to harm himself, the driver is transported to the hospital for evaluation and the children are brought to the police department. Relatives are at least four hours away. These three scenarios are just a sampling of what the Comfort Pack Project was designed for – to be a small, yet significant distraction for the silent victims, children who are thrust into a situation where law enforcement is involved. These situations can be extremely scary for young ones. In 2013, the Winter Haven Police Department partnered with Nancy Marquart and the Women’s Ministry at Grace Lutheran Church in Winter Haven to find a way to serve the community through law enforcement. As discussions were had, it was determined that oftentimes, children need more than a small stuffed animal or a blanket when encountering officers. 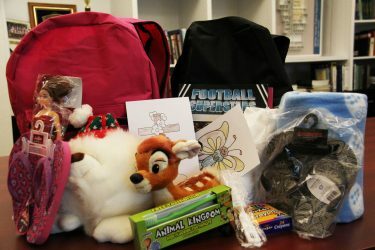 Although those items are essential, the project was launched to add items that kids would need and be able to focus on instead of the traumatic situation they are currently facing. And so The Comfort Pack Project was born. Over the years, the Project has served more than 500 children within our City. Officers carry backpacks that are boy and girl specific in their car. Each backpack has a stuffed animal and a small blanket, but goes much further. There are books, toiletry items, coloring activities, flip flops and even t-shirts. All of these items are very much needed when a child is in a situation that may take them from their normal routine for any length of time. To top the packs off, the students at Grace Lutheran School provide a hand-written card with specific messages of comfort, prayer and hope to the children who receive the pack. Recently, Winter Haven Police Lt. Aden Krug’s daughter held a book drive at her school and donated more than 200 books to the project. The books are suitable for all age ranges and have been a great addition to the Project. Nancy donates all of her time (and storage space) to make the project the success that it is. Additionally, donations continue at a steady pace from various organizations within our community in order to continue this one-of-a-kind project.